This title comes from those I knew in Brazil who worked hard, often not earning hardly enough to put food on the table. And with that comes to mind words from a Gospel song, “Work for the night is coming when man’s work is done.” As for Doris and me, we now have little energy or place where we can do a bit of work for Jesus. This blog sadly only can deal with memories from days of long past. Years ago Brazil was famous for its rubber trees till other countries grew their own trees and the invention of synthetic rubber that took away the profit. But some rubber trees still produce the latex that is formed into rubber for special purposes. 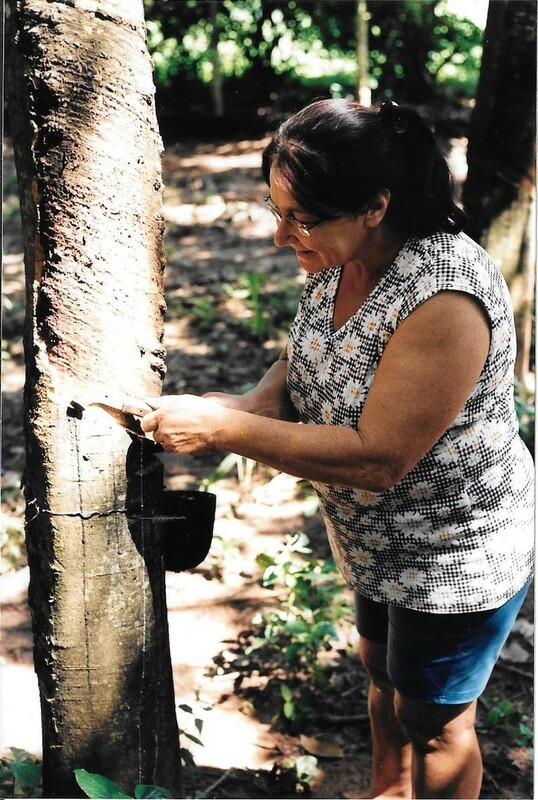 This lady uses a sharp tool to cut away a bit of bark to form a V in the trunk from which the white sap flows into a container. The whole process needs patience to grow the trees till years later the raw rubber goes to market. and setting up his equipment is more than any ten hour job. 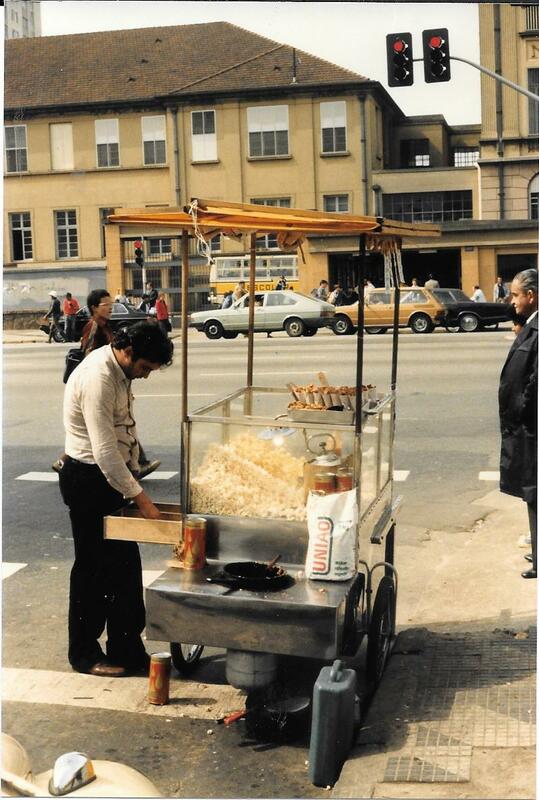 Though most visitors and missionaries would not buy food at such a little cart—nor would I advise it. But me, I shunned my own wisdom and often enjoyed their foods. But I never got sick from those gastronomical delights while some I knew took more care but were often sick. 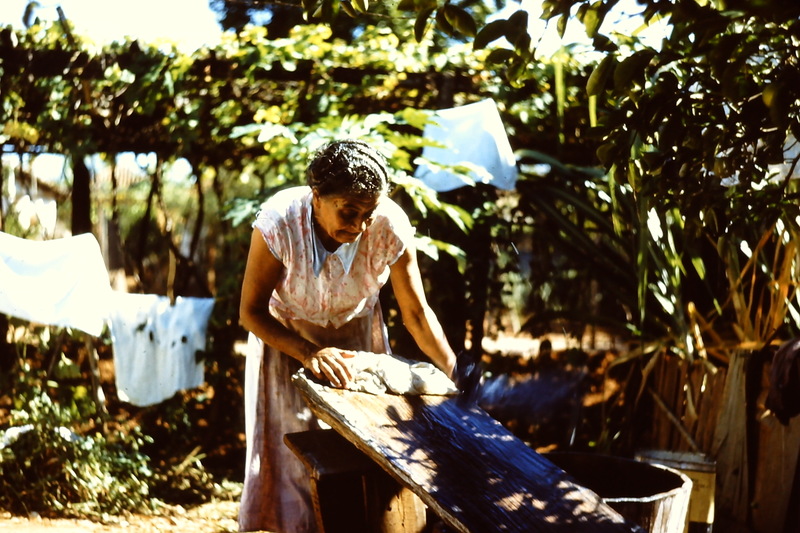 This lady did our washing—if you can call it that—in our backyard though that work may not have been worse than the early washer my mother used that was operated by a hand lever. On our second term in Brazil while in São Paulo we had an automatic washer. The problem there was the quality of manufacturing so that I had to tear it apart after a year or so to replace some gears. 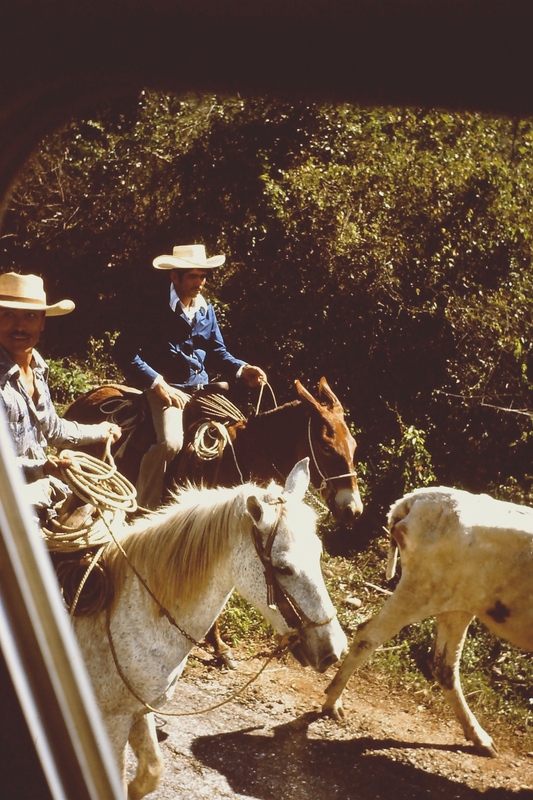 This picture of cowboys may be touched with romance from watching too many movies about cowboys in our history. It is still hard work. Brazil raises many of its Zebu cattle for their own tables for they love a good steak, while beef is also exported to other countries. No doubt I have mentioned this somewhere, but the Zebu are not herded but led with a cowboy blowing the low notes on a long trumpet made of horns. I still have one of those long horns but I don’t do well with the low notes. I might scare the cattle. I love this picture for is shows our Canadian team that worked with the members of our Airport Church to prepare food packages and clothing for the poor in a church planting project. That was an exceptional experience for us to be able to give a hand to some of Brazil’s poorest while encouraging them to a new life in Christ. It is so very encouraging to see churches in Brazil giving time and energy to further the Kingdom of our Lord. Indeed, our Lord calls us again and again to be workers in his harvest field while at the same time we rejoice seeing the fruit of our labours. This entry was posted in Uncategorized on March 6, 2018 by rkenny2014. Roy, your blog continues to inspire, and takes me (in my mind) to places I shall never visit.